Another long day on the bikes. 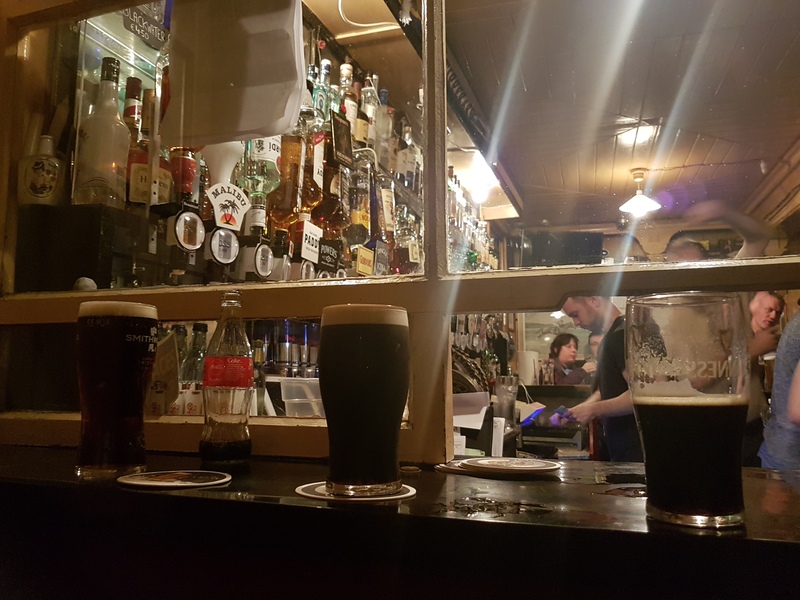 We left Dingle early enough, which is surprising as last night we went for a bite and couple of pint. First leg of today’s journey was along the coast toward the ferry in Tarbert. 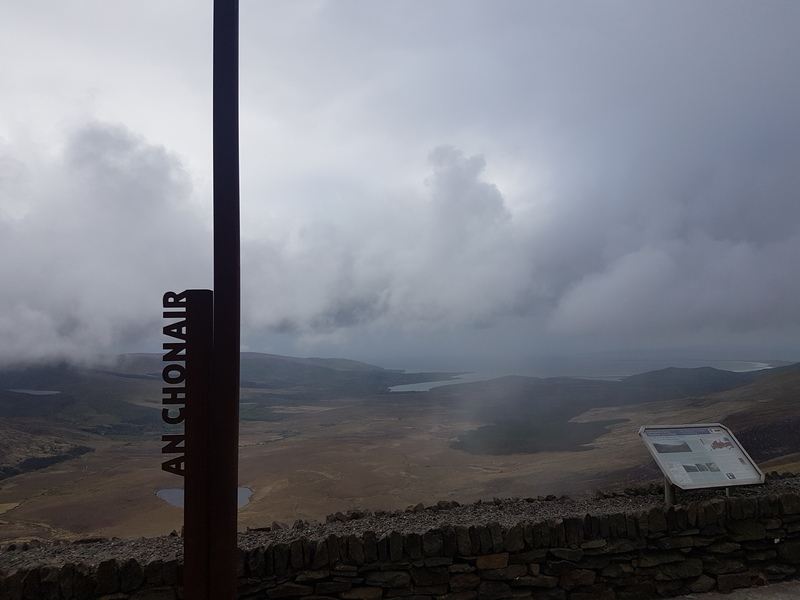 Honestly there are way to many nice places and viewing points to stop at all of them, but one of my favourites must have been Conor Pass. 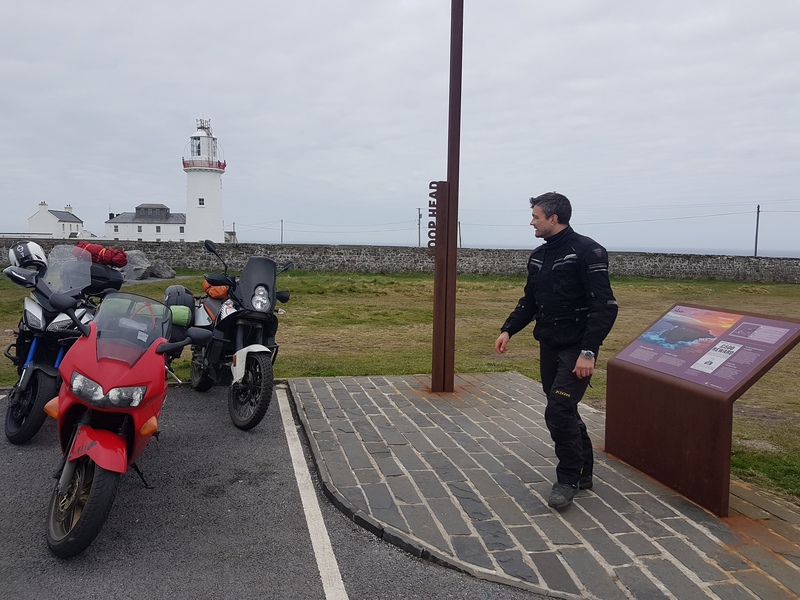 It’s the highest elevation mountain pass on the Wild Atlantic Way. Absolutely breathtaking. 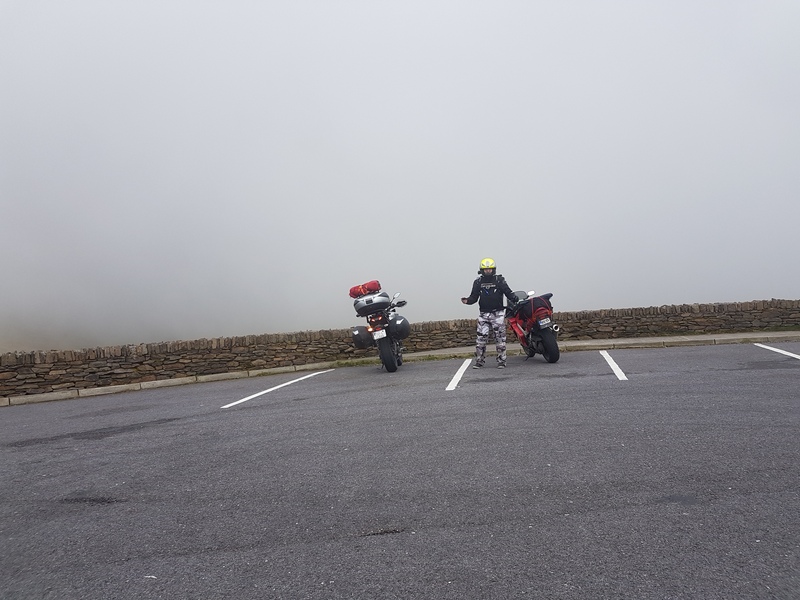 As for moutain pass the visibility was very poor. We boarded the ferry at 11.30. 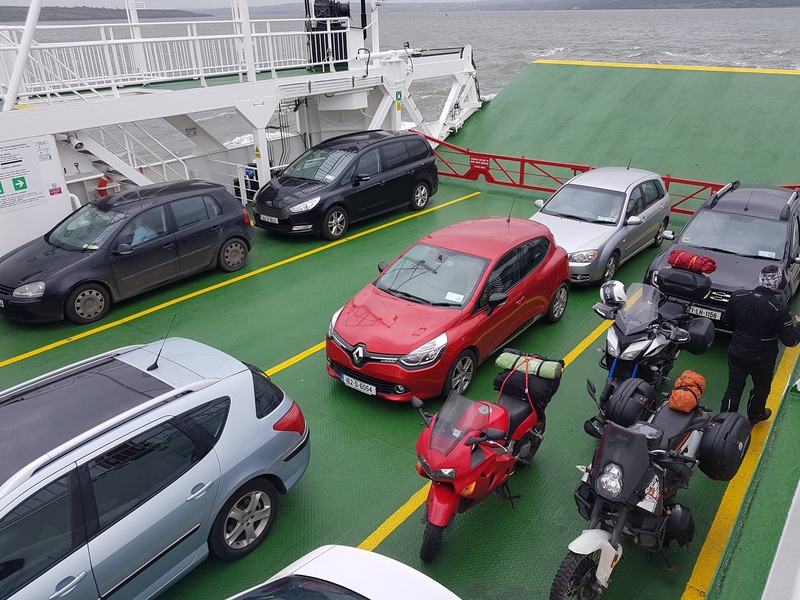 It’s 9euro per bike and takes around 30 mins to get u to Co. Clare. and eventually into the Burren. 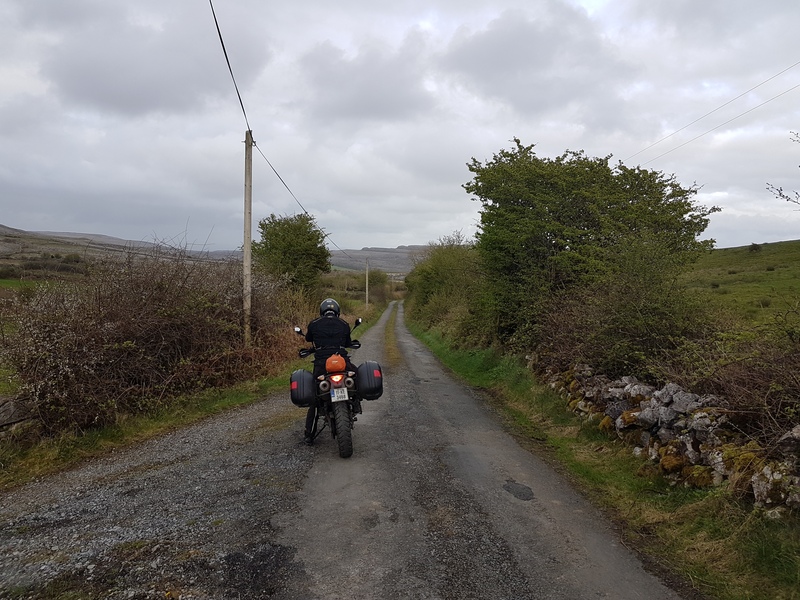 The Burren is one of my favourite places in Ireland so I was extra happy to visit on a bike. 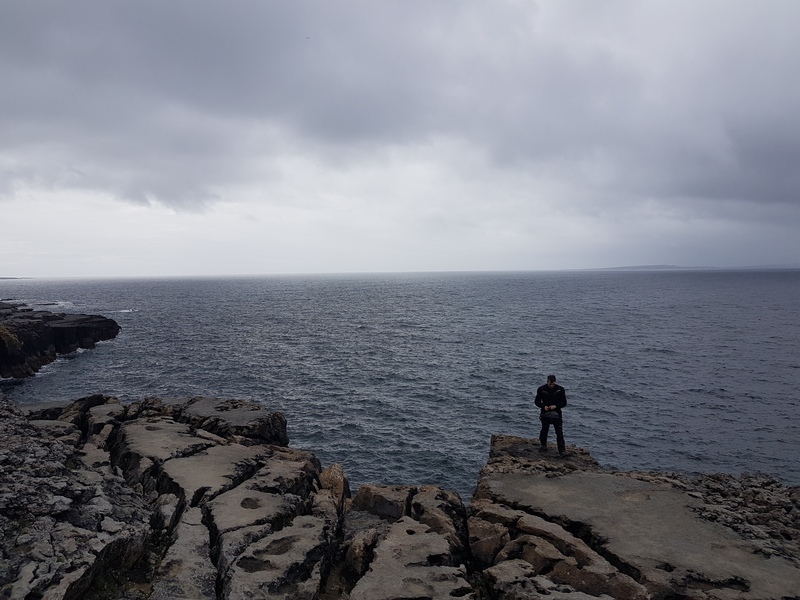 We tried to avoid obvious tourist traps (such as Cliffs of Moher) but couldnt resist stopping at Alleide ( place I often visit for its climbing). Side roads. Did many kilometres on these! 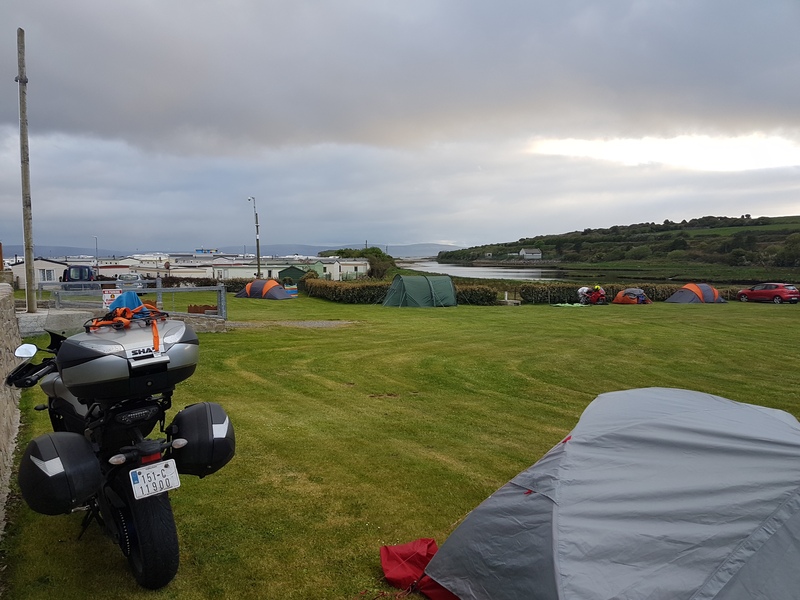 From there straight to Galway for city camping. Experience tough me to pitch away from Dave’s tent aka snorting covern. As for the bikes: they are holding very well! 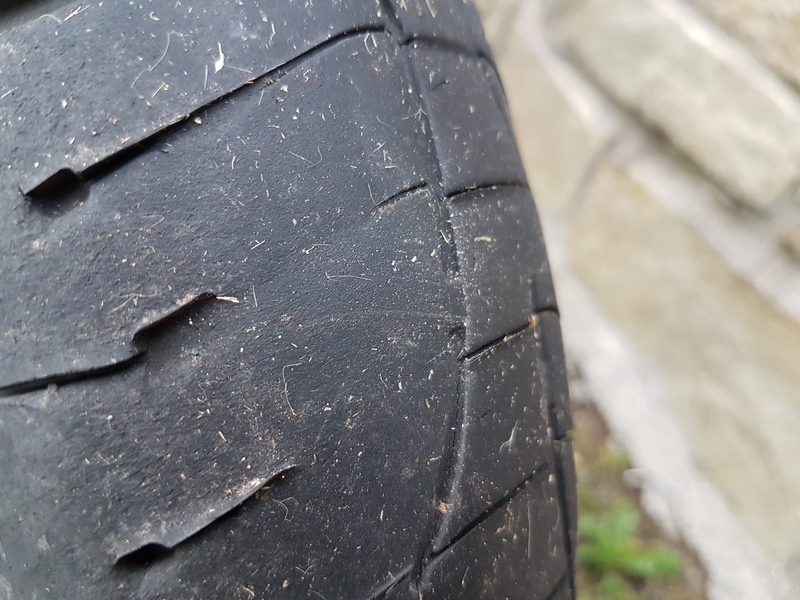 My tires are completely gone though. I just have to power through on the motorway to Dublin tomorrow.